Exploring Kukonje Island, on the eastern edge of Botswana's vast Sua Pan. "On the eastern rim of Botswana’s Sua Pan, Kukonje Island lies half forgotten at the end of a treacherous trail. 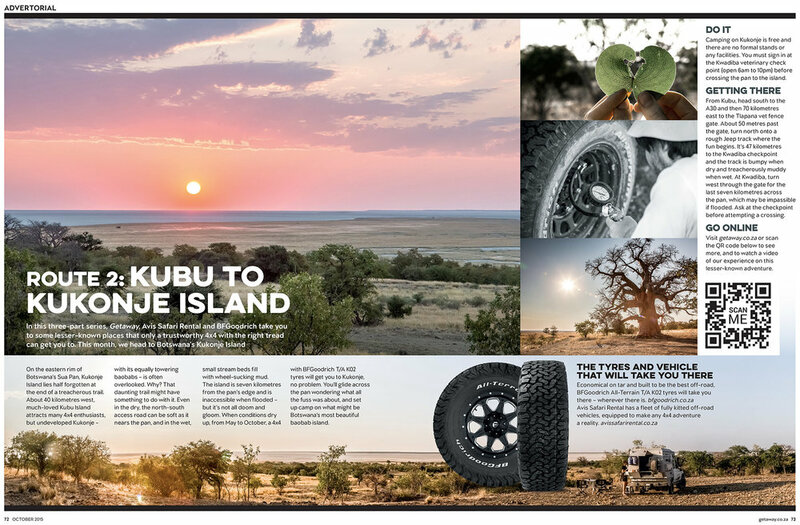 40 km due west, much-loved Kubu Island attracts a steady stream of 4x4 enthusiasts, but undeveloped Kukonje – with its equally towering baobabs and beautiful sunset views – is often overlooked. Why?"